With this amazing changing colors synthetic zultanite, you can see many colors in one stone. In different light sources, the stone colors are different as you can see in the photos. In natural light or yellow incandescent light and candlelight, the stone color is cognac pink or dark champagne if the light is strong or weak. Indoors under white light or incandescent light the stone color is yellow green or olive green. Or you can see both cognac and green colors when indoors while having both natural light and white light sources. In 2006 in Turkey, the Natural zultanite was discovered and began commercial production and promotion. It was announced as new Gem species in 2008. The name zultanite is from the name of thirty-sixty Sultan of the Ottoman Empire. 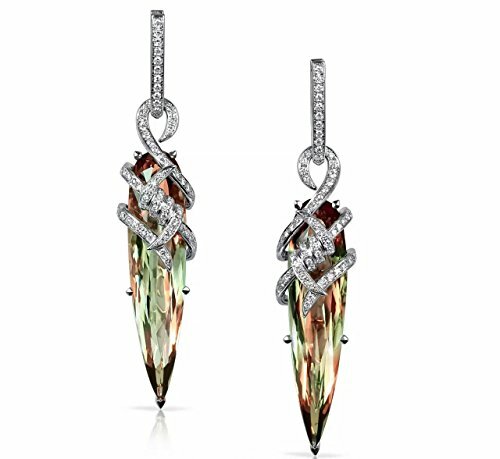 Because its rare, the nature zultanite, was only known in high end jewelry market by a few rich people. Now we bring you this new synthetic zultanite that was created in Russia recently and presents the same beautiful colors as nature zultanite but with the price that everyone can afford. We focus on the quality and with superior design so that you can have the high end jewelry pieces that used to be for rich people only. One gem, many colors. With this amazing changing colors zultanite stone zircon you can see many colors in this beautiful jewelry. In natural light or yellow light incandescent light and candlelight, the stone color is brown to raspberry if the light is strong or weak. Indoors under white incandescent or led light the stone color is olive green.can see many colors in stone where have both white and yellow light sources. Made with 925 sterling silver, inlaid high quality small zircon stone that come from America with a 5A quality cutting. The yellow-gold plated is 1 Mi thich whick can last for years if wear gentlely. If you have any questions about this product by Tingle, contact us by completing and submitting the form below. If you are looking for a specif part number, please include it with your message.